Outer Banks Beach Buggies has been renting both golf carts and low speed vehicles (LSVs) on the Outer Banks since 2010. These Outer Banks golf carts and LSVs are all we rent, so we are specialists in the field, and can answer just about any question thrown our way, concerning the operation of our vehicles, as well as where they can and cannot be driven. Our LSV and golf cart delivery area stretches from the northern beaches of Corolla, south to the Town of Manteo, and all towns in between. Popular rental communities and towns include: Whalehead, The Currituck Club, Buck Island, Spindrift, Monterey Shores, Corolla Light, The Village at Ocean Hill, Duck, Southern Shores, Kitty Hawk, Kill Devil Hills, Nags Head, and Pirates Cove. 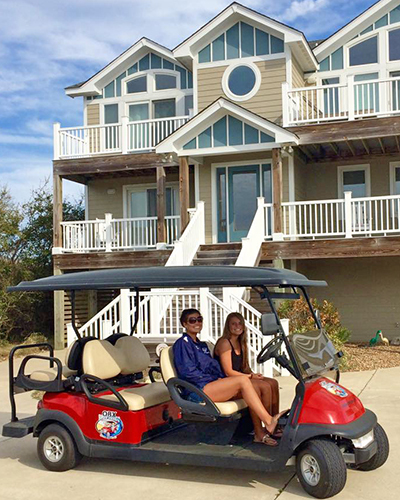 Rent our Outer Banks golf carts and LSVs with confidence knowing that our customers are #1, and that we always strive to provide excellent customer service. Rent with confidence knowing that our vehicles are insured. Rent with confidence knowing that our vehicles are thoroughly maintained and serviced each week. Rent with confidence knowing that we are a local business, with our office, sales and service shops located right here on the Outer Banks. 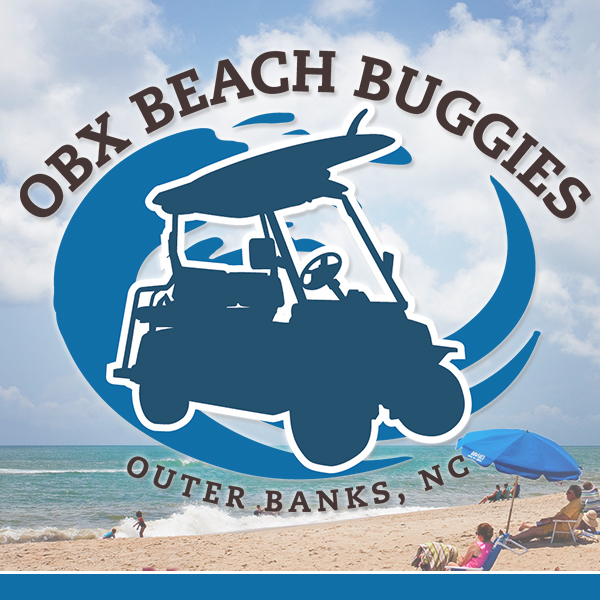 Outer Banks Beach Buggies is committed to bringing this fun, eco-friendly mode of transportation to the Outer Banks of North Carolina with our OBX golf cart and LSV rentals. And remember - WE NEVER CHARGE A DELIVERY FEE! Give us a call at (252) 715-1295 with any questions!